As Washington state family law lawyers, we understand making the decision to file for family law is very difficult. Many of our clients are confused and depressed when they initially contact our office. They usually confide in us and tell us that they are not sure if they want to continue their marriage. 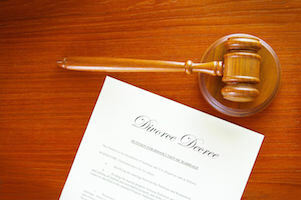 Our divorce attorneys understand when you share your life with someone for so many years, it can be hard to part ways. There may be times when you want to stay and work it out, and there may be times when you feel like family law is the only viable solution. If you are having a difficult time deciding if family law is right for you, we can help. We have over 50 years of collective experience helping divorcing couples resolve their family law issues in Washington. We want you to know that you are not alone. Our compassionate lawyers will help you get through this difficult time. Parenting plans – Parenting plans are a schedule that is created by you and your spouse. It outlines how you and your spouse will care for your children during and after your family law. It includes how much time your children are going to spend with each parent, who will be the primary decision maker for all important issues like day care, and physical care. Our Washington State family law lawyers can help you and your spouse create a parenting plan that is beneficial to both of you. Child support – In Washington State, both parents are responsible paying for child support. Our Washington State family law lawyers can help you and your spouse determine the amount of child support you have to pay based on your income. If you have a difficult time paying child support, our Washington State family law attorneys will aggressively fight to protect your legal rights. Child custody – One of the most difficult discussions divorcing couples have to face is the issue of child custody. It can be very stressing to fight over who your children will live with. If you and your spouse cannot reach a fair agreement, our Washington State family law lawyers will help you determine what’s in the best interest of your children. Father’s rights – If you are a father fighting for custody of your child, or if you want to prove that you are the biological father, our Washington State family law lawyers can help. Child support modifications – If you are having a difficult time paying child support, there are certain options that you can take advantage of under Washington law. Our knowledgeable Seattle family law attorneys can assist you with modifying your child support order. Child custody modifications – There may be times where a parent who was once qualified to take care of a child no longer can provide for their children. If this happens, we can provide you with the support and guidance you need to modify your child custody order. Relocation – There are certain circumstances that may cause you or your spouse to relocate. At the Law Offices of Jason S. Newcombe, we understand that you may want to relocate your children due to domestic violence, child endangerment, or you simply want them to attend a better school. However, your spouse may want to relocate your children because they feel that is the best thing to do. Depending on your unique situation, we can help you file a notice for relocation, file an objection, and help you understand your legal rights. Protection orders – One of the most delicate and sensitive areas of Washington State family law is the issue of abuse. At the Law Offices of Jason S. Newcombe, we understand that you are concerned about the well-being and safety of your children. If you suspect that your children are being verbally, physically, and sexually abused, our Seattle, WA family law attorneys will aggressively fight to protect your legal rights. Contempt of motions – There are times where your ex-spouse will not comply with orders sent from the court. If this happens, they are considered to be in “contempt of court.” Simply put, your ex-spouse is violating orders from the court and will suffer consequences if they continue not to cooperate. Our family law attorneys will aggressively fight to protect your legal rights. Our primary goal is to help you achieve your goals. Whether you need help collecting child support, or you need to modify child support orders, we will be in your corner every step of the way. That’s why we offer a free initial consultation to understand exactly what you want to accomplish during and after your family law. Call us now to schedule your free initial consultation with one of our experienced family law attorneys. Call us now to discover how we will aggressively fight to protect the legal rights of you and your children. We offer low flat fees and affordable payment plans!